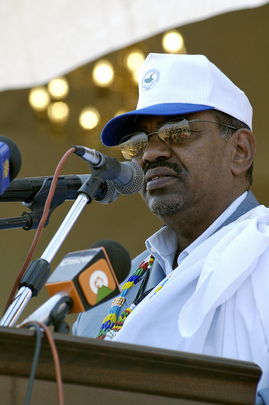 Inner City Press: On Darfur, President Omar Al-Bashir has been quoted regarding election observers as saying, if they interfere in our affairs, “we will cut their fingers off, put them under our shoes, and throw them out”, Bashir said. So, I understand there was a background briefing in which senior UN officials said that they’re monitoring things and as things come up, they are raised to the Government. I want to know what is the UN’s response, given both its role in the elections and with two major peacekeeping forces there, to a President saying he’ll cut the fingers off election observers. Spokesperson: The point here is that the elections are a Sudanese process and the UN is providing technical support under a Security Council mandate. And the preparations for the election are well under way, as you know, and we do have concerns in three areas. One is that the technical challenges of preparing for an election in a country of that size with the infrastructure that is in place there, or not in place. We are also concerned about reports of harassment of opposition party members and intimidation, arbitrary arrest and detention. And we are also concerned about the low registration of internally displaced people in Darfur. 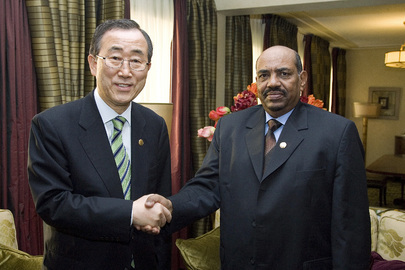 So we have been encouraging the Government of Sudan to address those particular concerns so that the elections, and this is really the key point, will reflect the will of the Sudanese people. Question: I am just wondering: This seems to be a particular sort of harassment of election observers, saying that you would cut their fingers off. It is hard to imagine this not having some effect on the objectivity of the observation. So it was these senior UN officials, unnamed, said that these are the type of things that Mr. [Haile] Menkerios raises to the Government. Spokesperson: Said where? Said where, Matthew? Inner City Press: No, no. There was, maybe while you were traveling, but they announced here, so it was a known fact that there was a background briefing about the Sudanese elections. But they said the type of things, seemingly lesser than this, are the type of things Mr. Menkerios -- maybe he has not raised it yet, but I am wondering if and when Mr. Menkerios actually does raise this to the Government, about the open statement of cutting off fingers of election observers; is it possible to know that the UN did react in some way? Spokesperson: Look, I have seen the same reports that you have about what President Bashir is supposed to have said. I do not know at this point whether Mr. Menkerios has raised it or not and I will find out.